Turkish President Recep Tayyip Erdogan has blamed the United States for spending money on "the killing of people" rather than humanitarian assistance. President Recep Tayyip Erdogan was quoted by the Turkish television news channel NTV as saying that the weapons that the United States supplies to Syrian Kurds are ostensibly being used against Turkey. "Thousands of trucks and cargo planes with weapons have arrived [in Syria]," Erdogan said, suggesting that the weapons would certainly target Turkish servicemen. "When we tell them [the US] about it, they respond by saying that they will take the weapons back – a scenario that we saw in Iraq. Their weapons are in the hands of the PKK [the Kurdistan Workers' Party]. If a tenth of their allocation for the killing of people would have been spent on humanitarian aid, there would be no questions," Erdogan stressed. Ankara has repeatedly expressed anger over the US arms supplies to Kurdish forces, with Turkish Deputy Prime Minister Bekir Bozdag saying that "if the United States does not keep its promise to cease military assistance to the YPG, then Washington would be deceiving the whole world." 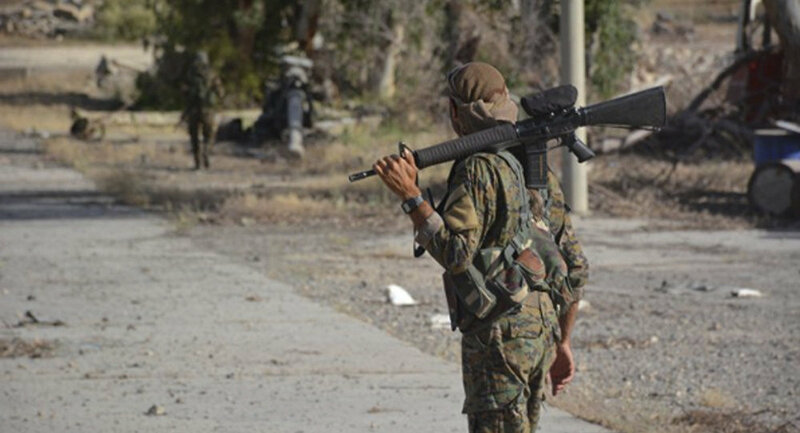 The statement was followed by Hurriyet Daily News citing a US official as saying that Washington had confirmed its commitment to take back the heavy weapons it had supplied to Kurdish People's Protection Units (YPG) in Syria. However, it did not set a time frame for the process. The official added that Washington would continue to cooperate with the Kurdish-led Syrian Democratic Forces (SDF) to ensure victory over Daesh* militants. On January 20, Ankara launched Operation Olive Branch to neutralize YPG groups in Syria's northern Afrin region. Ankara maintains that YPG is linked to the PKK, which is blacklisted as a terrorist organization in Turkey. The Syrian government has condemned the operation, which wrapped up on March 24, as a breach of the country's sovereignty. The offensive in Afrin was launched after Ankara ended its seven-month Euphrates Shield military campaign in the province of Aleppo in March 2017. The goal was to push Daesh away from the Turkish border as well as prevent the advance of local Kurdish groups.